Home AZKALS brother Chinito lookalike Mizuno Patrick Deyto Patrick Deyto and Rocky Batara Rocky Chua Batara Rocky and Patrick Deyto: "The Runner Meets the Player!" 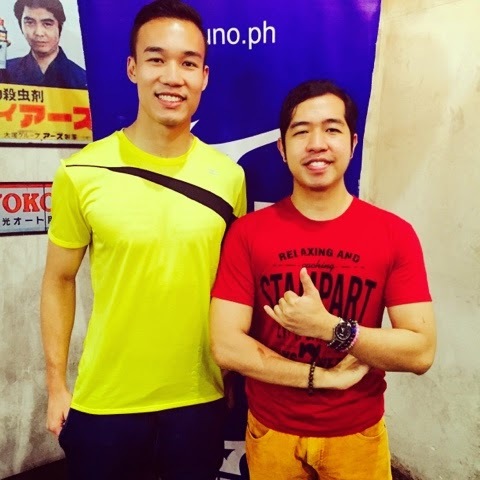 Rocky and Patrick Deyto: "The Runner Meets the Player!" 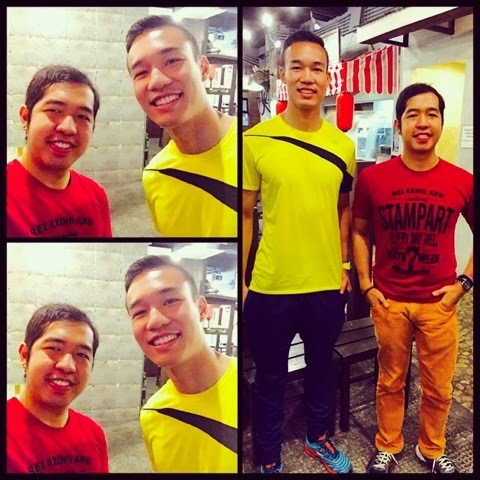 Seems that I found my long lost brother after I met the AZKAL's football player, Patrick Deyto. Yes as many say, we have a resemblance. Our eyes, our teeth, our smile - look similar! Patrick is currently the image model of Mizuno, a leading Japanese brand of sports gears. You may see many of his photos, posters, or even billboards in the different stores of the said brand. I also got an oppurtunity to interview this hunk guy giving us fitness tips on how to stay fit and healthy. He even shared his own fitness secret which keep him hot and fit! I'll share with you the said video interview here in Bits of Rocks and in my running and fitness blog which is the Runner Rocky (www.runnerrocky.com).